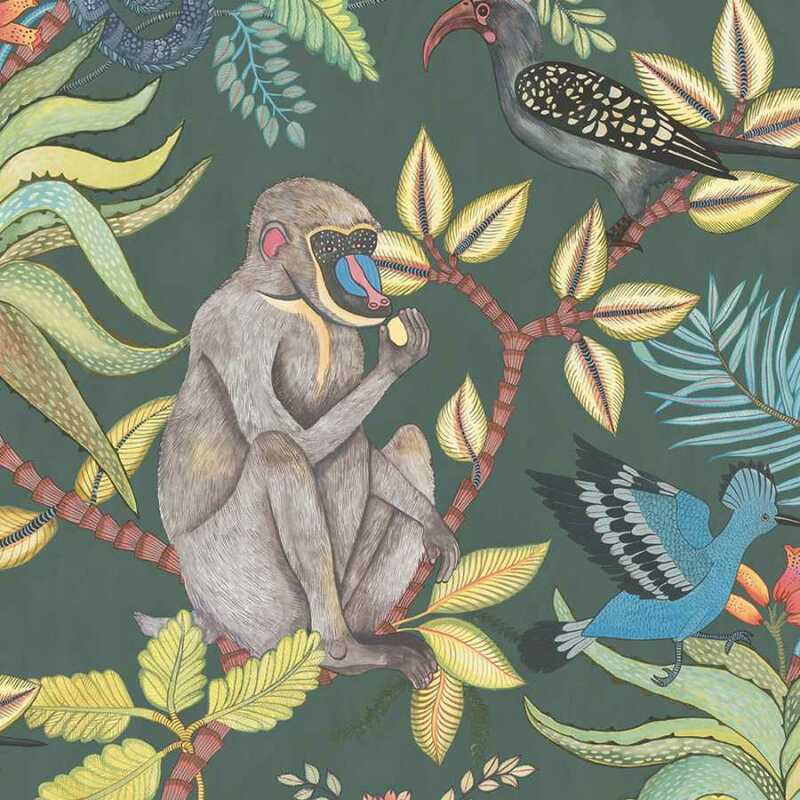 Rich in colour and beautiful, exuberant design, this Savuti Wallpaper is part of the exciting Ardmore Collection by Cole and Son. 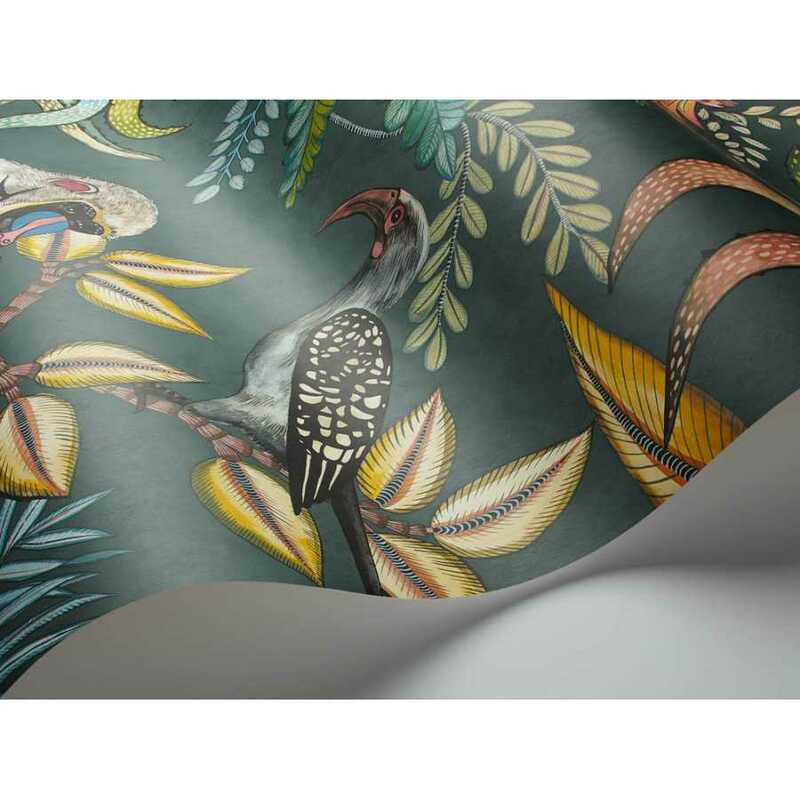 The Ardmore Collection is a beautiful range of wallpaper inspired by African culture and traditions and designs in collaboration with renowned African arts company, Ardmore Ceramics. The wallpaper takes its name from one of the largest and best known national parks in the whole of Africa and it captures the essence and atmosphere of the park. The Savuti Wallpaper design features blossoming indigenous coral trees with plenty of eye-catching wildlife hidden amongst them. 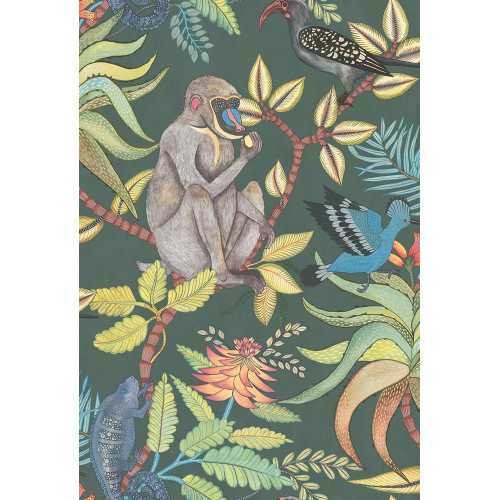 Hoopoes and hornbills fly across the design and there are chameleons and bright-eyed baboons up in the branches too. In this 109/1006 colourway, the Savuti design is set against a deep blue background, with bright colours used to pick out each of the graphics. Each roll of Savuti Wallpaper measures 52cm in width and 10 metres in length. It has a half drop pattern match and a 76.2cm pattern repeat. If you want to find out more about the designers behind this piece and would like to explore the rest of their range, please visit our dedicated Cole and Son brand page.